Buff'd Cosmetics Mineral Bronzer in Satin Pearl and Velvet Matte. 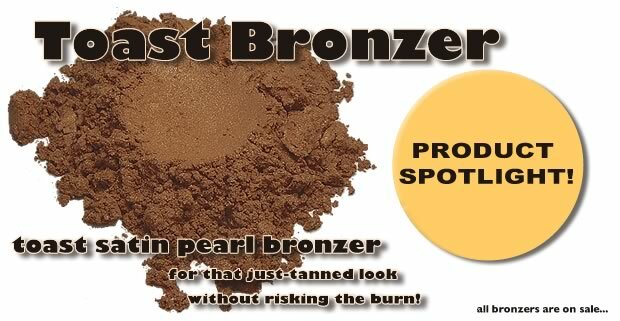 For that just-tanned look without risking the burn and other harmful effects of the sun. Buff'd Mineral Bronzer has great wearability and can be lightly brushed on your cheeks, neck and chest - or anywhere else you want that healthy sun-kissed glow. And right now, enjoy special pricing on ALL of our Bronzer shades! Buff’d Cosmetics all-natural mineral makeup products are completely free of irritants and toxins that can be harmful to your skin.